Consistently our customers’ first choice for durability and reliability. The anodized aluminum resists abrasion, solvents, sun, salt air and high temperatures. Don’t need a barcode? No problem! 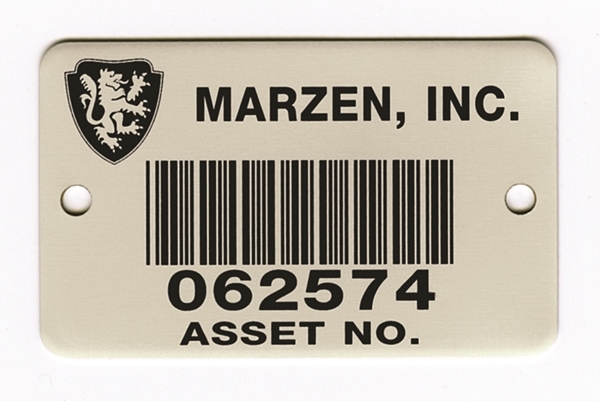 Photo Anodized Metal Nameplates come in a non-barcode option for virtually limitless applications and with the same construction as their bar coded counterpart. You can be assured that they will endure tough conditions. Attachment Method .0035" thick, pressure-sensitive adhesive that has a very high peel strength and provides excellent resistance to heat and chemicals. Environment Mild, moderate and extreme. Resists extreme abrasions, solvents and temperatures. 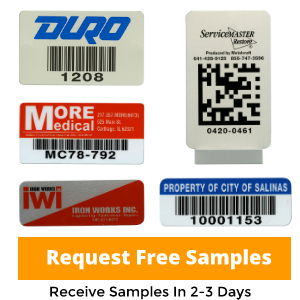 Label Copy Printed copy may include block type, stylized type, logos or other designs. Black copy is produced photographically. Colors other than black are screen printed. Colors Choose black only or one of our standard colors (red, blue, green, or yellow) for block style type, stylized type, logos or other designs. Due to the contrast needed for bar code scanner, all bar codes are black. Color samples available upon request. Standard Adhesive Pressure-sensitive acrylic adhesive (MC778), .0035” thick supported by a liner. Very high peel strength that provides excellent resistance to heat and chemicals. Packaging Shipped in “workout- of” cartons for convenient application. 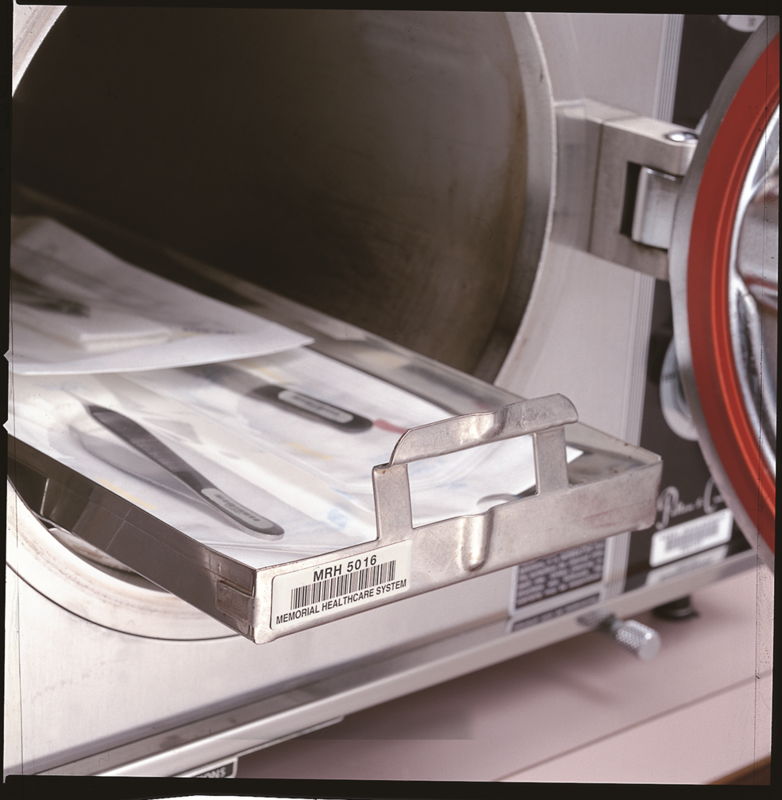 Both cartons and trays clearly marked to indicate serial numbers of contents. 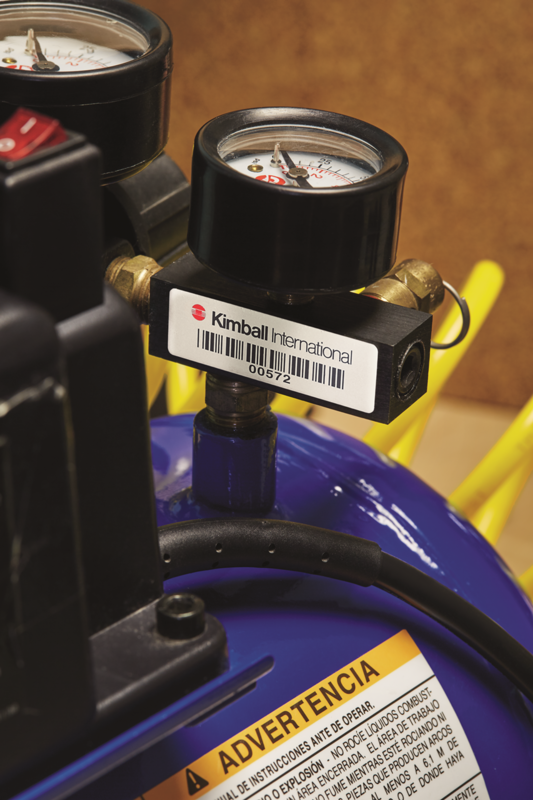 Pressure-sensitive adhesive orders shipped with cleaner and application instructions. Shipment 5 work days (Black-Type, Black-Designed), 8 work days (2 Color-Designed), 10 work days (3+ Color-Designed) upon receipt of order and proof approval.